LIKE the studio on Facebook! All tuition payments are made payable to Winter Park Community Center. *All non-residents of Winter Park must pay $15.98 yearly membership fee. ​Download the registration form by clicking the PDF file below. LIKE NRG-DANCE STUDIOS ON FACEBOOK! 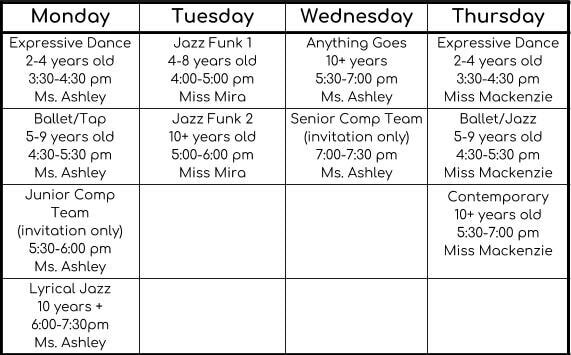 To enroll in dance classes, fill out the registration form above and bring it to the Winter Park Community Center with payment. -All dancers are allowed to wear any color or style of appropriate dance attire during dance class.